Muscular strength and power along with motor skill performance are developed through neuromuscular adaptations along with muscular adaptations. In different terms, these factors are improved as your body changes to be able to handle more pressures. These adaptations can get very scientific and if that is what you are looking for then here is where you can find your answers. 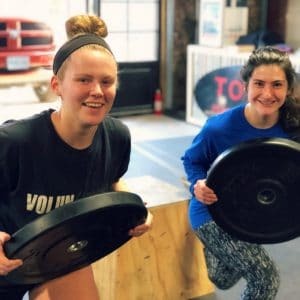 A study done by Michael Behringer at the German Sport University Cologne provides interesting results concluding that children training 1-5 times per week, at about 40 minutes at a time, experienced strength improvements of about 20-40%. While another experiment’s results show an average strength increase of about 74%. Not happy with only getting benefits in muscular strength and power? Youth resistance training has been linked to benefits in many other aspects of their life. I’ll break down a few of the major ones. An interesting 2011 study showed an increase in brain functioning of 7-11 year olds. They saw increased brain function in only about 13 weeks of training 20-40 minutes per day. Imagine the impact that could have over longer periods of time. Sleep is very crucial for muscle recovery and growth following workouts. Lack of quality sleep has many negative impacts on the body. If your child does not sleep enough, or experience quality sleep, they could develop some of these negative consequences. The benefit of resistance training is an increase in total amount of sleep and overall quality leading to better muscular growth and eventually more strength. Sports injuries have become a huge part of our youth. Kids want to play sports, so there is no avoiding this fact. We might not be able to avoid it, but maybe we can do something to help prevent them. Resistance training can help heal old injuries, strengthen muscular imbalances, correct poor conditioning, and increase muscle control. This may come to your surprise, but training could reduce the risk of small injuries and overuse injuries by 15-50%. 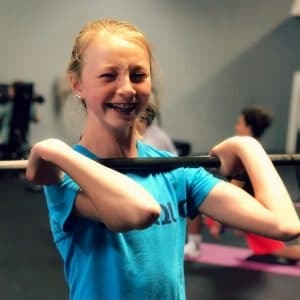 For a long period of time people have thought strength training for children was a bad idea. A lot of these thoughts have come from a lack of knowledge and buying into a few myths which created this derogatory culture. The truth is that strength training has many benefits and parents should be searching for a professional to train their child! Don’t believe me yet? How about the people who wrote the book on strength and conditioning? Probably the most prominent force in the strength and conditioning world is the National Strength and Conditioning Association. For years they have literally written the book that people use to become strength and conditioning professionals. While all of this is great, let’s keep this in mind. 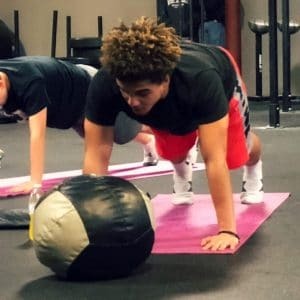 This article is not solely for youth athletes, but for all youth. All children could be positively impacted by resistance training!